Who is Brian Slagle? He is a Toledo man featured in Barack Obama’s new commercial touting the auto bailouts. A new ad by Obama tells the story of Brian Slagle, an autoworker in Ohio who says he was laid off and “scared to death” until the president swooped in to save the industry. Because of him? Really? Slagle works for Johnson Controls, which does indeed provide batteries to the automotive industry. Problem is, according to The Weekly Standard, Slagle’s own Facebook page says he has been working at Johnson since 2006. But the ad itself seems to be misleading. It is not because of Obama’s auto bailout that Slagle has a job. In fact, Slagle has been employed with Johnson Controls since February 2006, according to his own Facebook page. 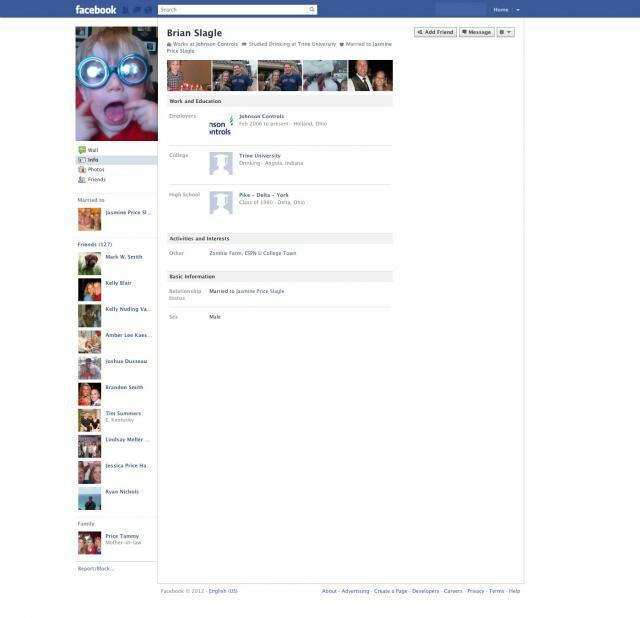 Slagle has since taken down his employment information from his Facebook page, but not before these screenshots were taken. This can’t be so! Barack Obama wouldn’t lie…would he? Speaking of lies, Johnson Controls also got stimulus money. Guess what happened to that? Johnson Controls got $299 million from the stimulus to make batteries. But after getting the money, the company built just one factory instead of two. The Washington Post reported that “because of lower-than-projected demand,” only the first was built and it’s at half capacity. The government fined Johnson Controls for “exposing employees to higher than permissible levels of lead.” And, in early April, the company laid off an unannounced number of workers to cut costs, after it reported weak results from January. More big government bets on electric cars like the Volt, that people aren’t buying.